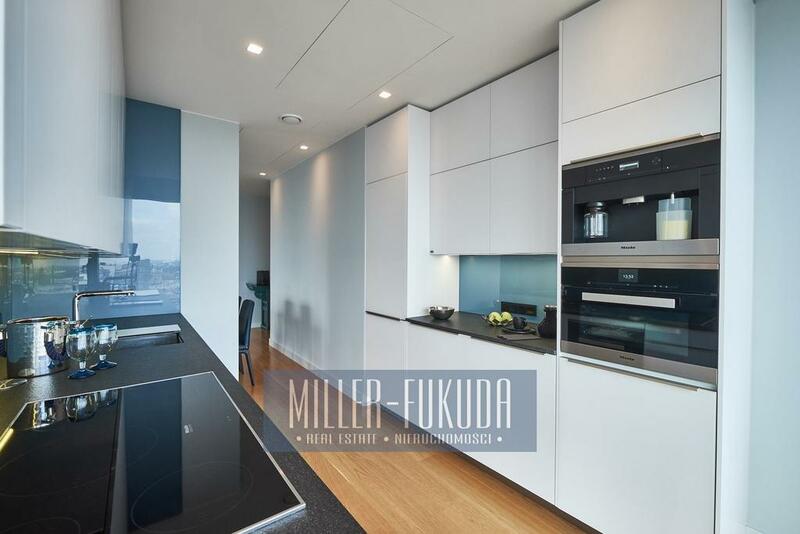 EXCEPTIONAL APARTMENT IN COSMOPOLITAN TOWER WITH SPECTACULAR VIEW! In the very center of Warsaw, at the intersection of Emilii Plater and Twarda streets. The Central Railway Station, Złote Tarasy shopping mall and the Palace of Science and Culture are within a 5-minute walk. In the neighborhood there are headquarters of international financial corporations, banks and law firms. Full public transport network. In the area there are the best restaurants, bars and cafes in the city. Walking distance to: opera, concert hall, theatres, cinemas cultural centres, Saxon Garden, Old Town. 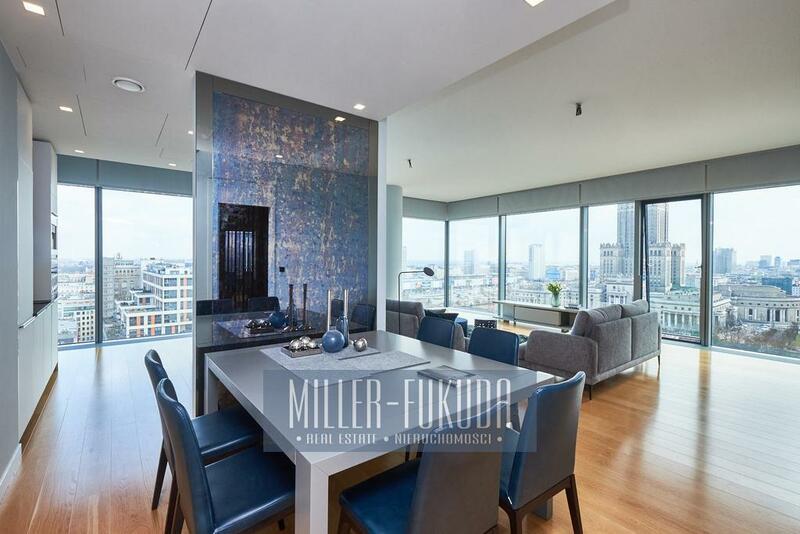 Cosmopolitan Tower, designed by Helmut Jahn, is considered one of the most interesting apartment buildings in Europe. 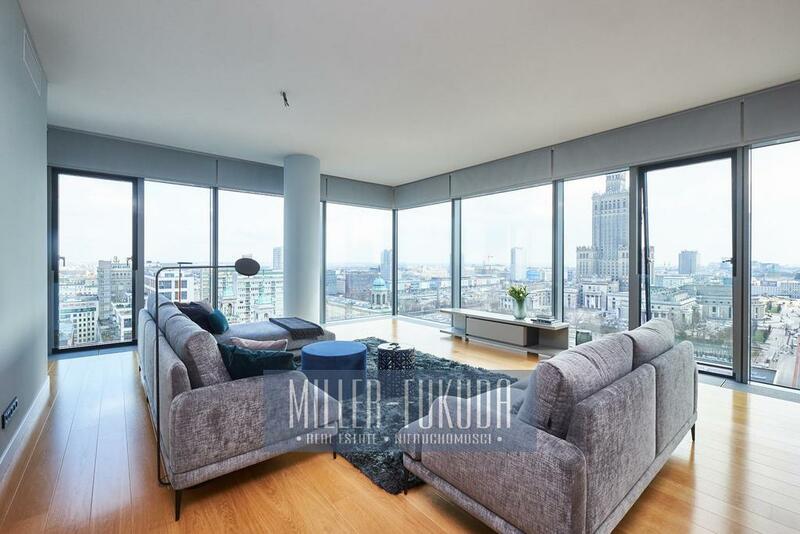 Cosmopolitan Tower is an investment perceived as a symbol of luxury in Polish housing construction. 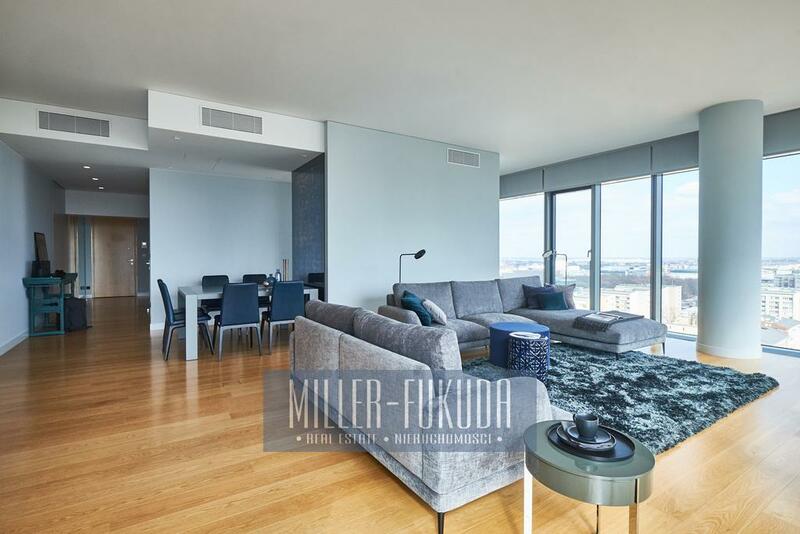 Unique solutions for this type of investment are opened windows and special hollows in the construction block, which increase the angle of city panorama observation and in the case of the apartment described, a panoramic view of the Palace of Science and Culture. The gym and spa zone located on the 4th floor of the building is intended for the exclusive use of the investment residents. It includes: fitness club with gym, massage salon, saunas, jacuzzi and club rooms. In addition, the residents have access to a large outdoor landscaped patio (terrace with an area of over 800m2). There is professional security 24 hours, the representative lobby and Cosmopolitan Concierge services 7 days a week. 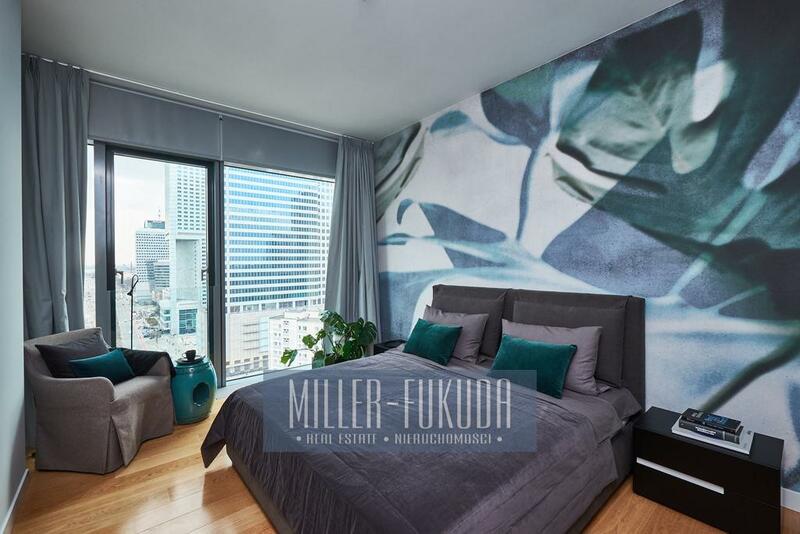 The apartment has the perfect style, elegant, modern and unique due to the care of the interior design, selection of furniture, art and decorations. It is located on the 15th floor, in the best part of the Cosmopolitan Tower with the south-eastern exposition. 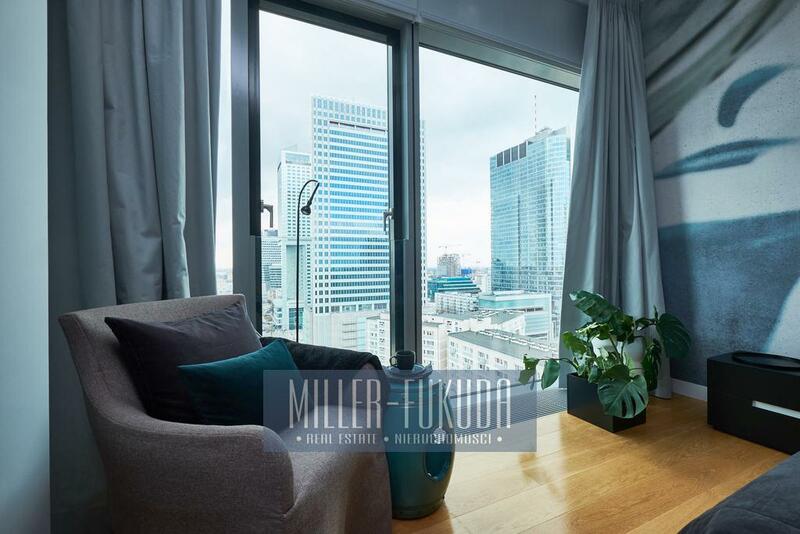 From the living room stretches an impressive panorama of the city with a view of the Palace of Science and Culture and Grzybowski Square. 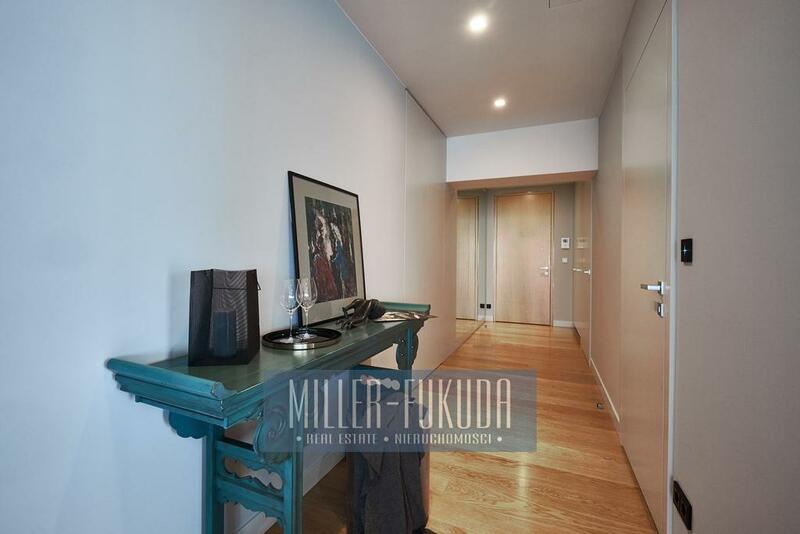 Apartment finished and equipped to the highest standard, ready to move in immediately. All furniture and devices are new.
' extra paid: costs of electricity, water and heating consumption, Internet, cable TV. The apartment is new, never uninhabited, carefully finished and decorated. Nice, functional carpentry, a lot of storage space. Apartment bright, sunny and fully equipped. Elegance, security, discretion - the highest quality of life and space for a connoisseur of good style. I am interested in property number MIF20660. Please contact me.